The Bitcoin has attracted many creative geniuses, whom have created various businesses based upon the Bitcoin as a payment method or by using its technology. One of those people is Bryan Micon, who was the face of the now shut down SealsWithClubs and the owner of SWCPoker. Micon helped the Bitcoin poker industry get to the next level, after being stuck with a couple of small-time operators who had no clue on how to get liquidity into a room. Micon started different marketing campaigns and slowly build up the reputation that made SealsWithClubs the Pokerstars of Bitcoin poker. But just like most things, SealsWithClubs came to an end. The management didn’t feel that they could continue to operate the room after yet another attack on their servers and decided to shut down the site in February of this year. Micon decided that he would not let the attackers decide if he should run a poker room or not and opened up his own room SWCPoker, which was a descendant of Seals, just without the original management team. Micon believed that he could transfer over most of the player base from Seals and continue to operate a successful room with the new software he had purchased, along with other improvements. Micon didn’t make it that far in his plans however, as his home in Las Vegas was raided and once he flead to Antigua, a warrant for his arrest was released. It was believed that Micon would not return to the US again to face his charges, as Antigua is a safe place to hide for those wanted by the US police and agencies. However Micon did return to face his charges, after his lawyer got him a plea-deal. Micon pleaded guilty to having run an unlicensed interactive gaming system in the state of Nevada. By pleading guilty, Micon will, according to his lawyer, avoid any jail-time for the crime he did. Micon will instead be on probation for an unknown amount of time and if he completes that he will be able to plead to one gross misdemeanor count of conspiracy to operate unlicensed interactive gaming systems. Furthermore Micon will also have to pay a $25,000 fine for having run the illegal gaming site, as well as forfeit properties seized in the raid, which includes $900 in cash, around three Bitcoins and a ton of electronic equipment. The deal is still quite good for Micon however, as he initially faced upwards of 10 years in prison and a $50,000 fine for having run SealsWithClubs. Micon himself has not made any official comments on the case yet, but we feel confident that he is happy with the sentence despite of his beliefs that the US is killing the creativity in the country. The official sentence in the case will be made in November of this year and will determine what Micon’s official punishment will be, should he complete his probation. BetVIP became a Bitcoin house-hold name back in June of 2014, when they became the first licensed Bitcoin bookmaker, licensed in Curaçao under its laws and gambling regulations. Now the company has decided to branch out from their sportsbook and casino game offerings and offer their own independent poker room. The poker room has been launched a few days ago and is Bitcoin only, just like with all other products offered by BetVIP. To ensure as many players as possible will have access to the room, BetVIP released both a Mac and Windows version of the software, which has been provided by Enterra Gaming. Traffic has yet to pick up, which is natural from a newly opened room, but BetVIP will be offering players the chance to win some free Bitcoins through weekly freerolls. For those who are looking to deposit and play, BetVIP has integrated ‘instant’ deposits which means that once it has received three confirmations of the deposit it will credit it your account. This process will commonly take around 10 minutes or less and your Bitcoin will be exchanged at a ratio of 1BTC to 1,000mBTC. BetVIP will also provide their fast cash out times known from their sportsbook and casino to the poker platform, allowing players to cash out within hours. Players will have the ability to be almost completely anonymous, having only to fill in an email to be able to create an account. “The rapid growth of our business over the past year stems from the fact that users want a trusted, licensed bitcoin betting and gaming environment. The launch of BetVIP Poker enables players to enjoy an even wider selection of market-leading cryptocurrency wagering products on both Mac and Windows platforms,” Chief Executive Officer and Founder of BetVIP, Daniel Schwartzkoppf said. “We have seen many users convert to BetVIP from fiat money currency platforms for the numerous benefits bitcoin offer. With low fees and strong identity protection, as well as rapid, simple and safe payments, bitcoin is the future of the igaming industry.” Schwartzkoppf added. BetVIP’s launch of their own independent is coming at a great time, as the Bitcoin poker industry has seen its by far biggest poker room (SealsWithClubs) shut down, due to raids made by the Nevada Gaming Commission. While their board member and professional poker player Bryan Micon went ahead and launched a new site for the players (SwcPoker), it has not been able to collect anywhere near the traffic the old site had and many players are currently looking for other places to play these days. At the same time the Bitcoin has regained some strengths in its value, having reached a value close to what it had three months ago. Currently the Bitcoin is valued at around $270-$290, having been down to around $200 which was the lowest since the beginning of 2013. The Bitcoin is currently seeing massive growth in its amount of active users, with industry experts believing that it will reach five million active users by 2019. 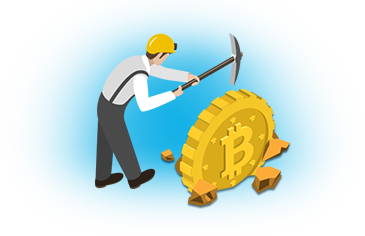 If the amount of active Bitcoin users continues to rise, so will the value and so will the Bitcoin gambling industry naturally, as more and more gambling sites and players continue to discover the benefits of using the cryptocurrency as a payment method. A change is going to come to the world of gambling, and it’s already on its way. If you want the inside track on just how digital currency is going to affect the way you bet, then our infographic will give you the lowdown. The world of gambling is used to game-changing moments, as seemingly unbeatable hands suddenly become bad beats in the split-second of showdown. It has already experienced its first digital revolution when the 15 isolated online gambling sites of 1996 became a global community of 8 million players in just five years[i]. The smart money says that the wheels are in spin again. It’s time for gamblers to cash in their chips and start mining their Bitcoins because cryptocurrency is about to make conventional money a spent force in gambling. Bitcoin is a form of digital currency that is created and held electronically. It’s not minted, it’s mined. It’s also not issued by a central government or bank, but by lots of people running computers all over the globe. You can find out just how this decentralised, digital currency works below. And it really does work: Bitcoin has quickly established itself as a rival to traditional currencies, and a single coin overtook the price of an ounce of gold in November 2013. What does all this mean for punters and pundits, casinos and croupiers, betters and bookies? Our layman’s guide will show you exactly how Bitcoin works, and why it is suited to the world of online gambling and more importantly for us, used for betting at Bitcoin Sportsbooks. The appetite for Bitcoin has already been proven, with sites such as Bitcoin.io generating $1.3m in just 3 months. Our infographic shows why this is just a taste of things to come. Bitcoin looks set to split the online gambling deck wide open, so place your bets because it looks like everyone could end up a winner this time.